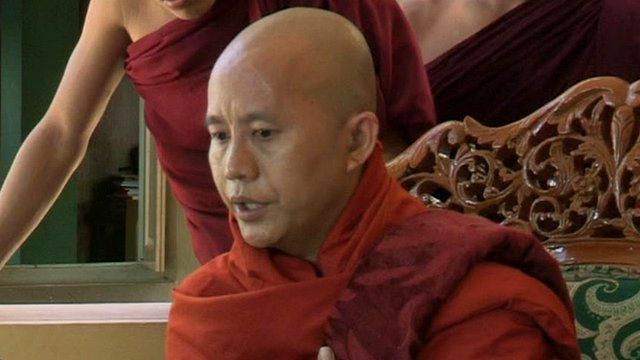 Monk accused of anti-Muslim campaign Jump to media player A Buddhist monk has been accused of stoking religious tensions leading to the persecution and even deaths of members of the Muslim minority in Myanmar, formerly known as Burma. Buddhist monks protest against Time Jump to media player Hundreds of Buddhist monks and civilians in Burma have staged a protest against Time Magazine in central Rangoon. Homes burned in Burma violence Jump to media player Buddhist crowds have attacked Muslim properties and a mosque in a town north of Burma's largest city, Rangoon.